Year 7 students visited the National Marine Aquarium on Tuesday 10th of October, the UK's largest aquarium, and they were looking forward to being amazed by the fascinating underwater world and learning how everyone needs to play a part in conserving it. It lived up to everyone‘s expectations! 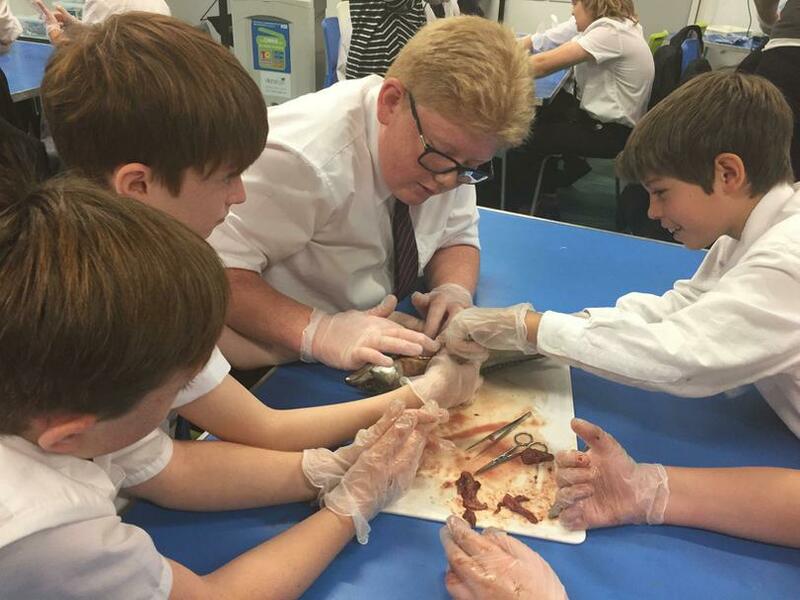 Throughout the day, different groups were involved in a lecture on the anatomy of a fish, a mackerel to be specific, and the opportunity to dissect one to have a closer look. The students‘ faces were in awe of the chance to be able to get 'hands-on' and have a go. This started with cutting the fish open and removing the guts, and stomach, including cutting the stomach to see what was being digested! It finished with the scooping out of the eyeball and dissecting it to remove the lens. Most students withstood it all to the end and found it an amazing opportunity. Whilst not in the lecture, students were exploring the wonders of the aquarium. Our journey took us across the world's oceans, from the shores of Plymouth to the coral reefs of the tropics. We had the opportunity to see over seventy sharks from more than ten different species. The sharks on display range in size from the small catfish to the large sand tiger sharks. Huge rays swimming over our heads and under our feet were a wow factor for lots. The whole day was fantastic, and an excellent time was had by all. It made for the perfect day out in stunning location. Thank you Miss Trainor-Roulstone for organising this fabulous opportunity to enrich the curriculum and to all the Science staff and parents who accompanied the students.